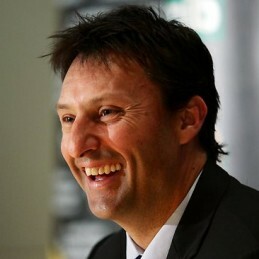 Laurie Daley had a highly decorated Rugby League career with the Canberra Raiders that began at age 17. He has been inducted as a Raiders Legend and named one of Australia’s finest players of the 20th century. A consistent performer with fantastic defensive skills, Laurie Daley knew the importance of taking opportunities to maximise success. Laurie played 127 games with the Raiders, including premierships in 1989, 1990 and 1994, 23 games for New South Wales in state of origin competition, and 26 Tests with Australia. Since his retirement from the field, Laurie has remained close to Rugby, forging a career in the media as part of the Fox Sports NRL broadcast team.